RemotePC is a secure and simple way to remote access your computer connected to the Internet from anywhere in the world. You can read your e-mail, work on the documents and resources and retrieve important documents and data files from your home or office computer while on road. 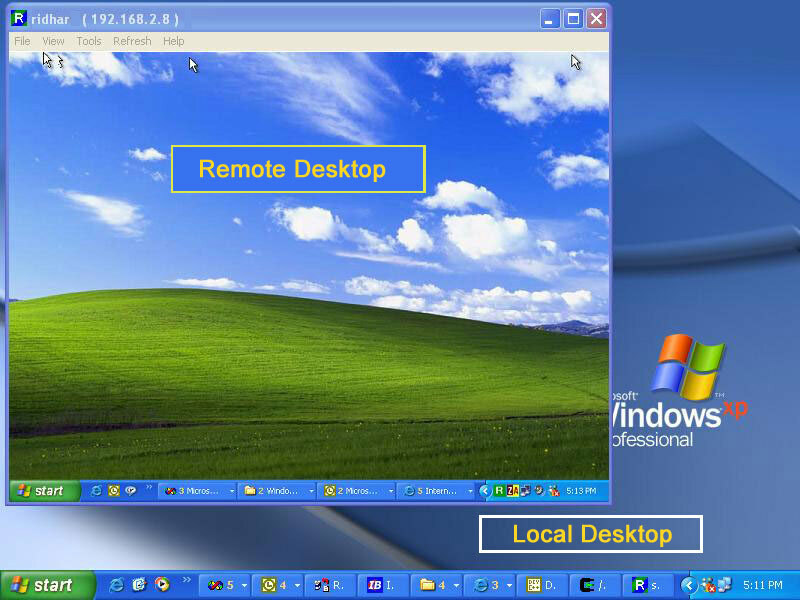 From a remote computer you can see the desktop of your RemotePC enabled computer and using your remote computer's keyboard and mouse launch applications. Remote access solutions from RemotePC Works behind most firewalls using our communication servers without the Host requiring a a static IP address. Secure communication and user authentication is provided by using Industry standard encryption techniques. Full Screen Mode for remote access makes you feel as though you are directly working on the remote computer. Full colors during remote access provide a realistic feel of the remote computer. Remote access is accomplished by the two software's RemotePC provides. RemotePC Host is installed on the computer which you have to access remotely and RemotePC Viewer is installed on the computer which you have physical access. Remote access solution from RemotePC is immediate and there is no significant wait in connecting to the remote computer. You need to create an account at http://www.remotepc.net for the username and password for accessing the remote computer. The free trial account expires after 30 days. More information is available at product website.